Is it possible to combine functionality with energy efficiency? The answer is yes. The good news is that you don’t have tto o compromise performance if you are aspiring for a sustainable roofing solution. This applies to Youngstown commercial properties as well. 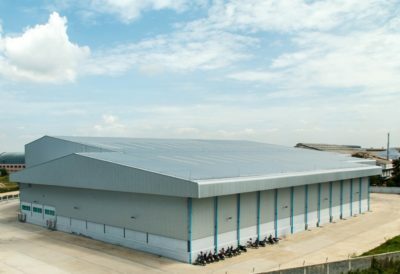 There are flat roof covering options that are designed to become environmentally beneficial in the long run. What Makes Flat Roof Systems Energy-Efficient? Before we introduce energy-efficient flat roof covering options, let’s find identify the qualities that set them apart. How can you tell if this certain roofing material is indeed energy efficient? Look for a flat roofing material that can effectively reflect the energy coming from the sun. It has to have the ability to bounce back heat to the atmosphere instead of trapping and transmitting it inside the property. It can also block ultraviolet rays that contribute to roofing damage over time. The level of solar reflectance can actually be measured on a scale of 0 to 1 (with 1 being the highest). This will then be your guide in choosing which material is the best when it comes to reflectivity. While reflectance is an important factor, it has a tendency to deteriorate over time. Due to continuous exposure to dirt as well as the daily wear and tear of the roofing, it becomes less effective as years pass by. You need to consult an expert roofing professional to know how long does a certain roofing system last or what specific maintenance requirements it needs. Emittance is technically defined as the ability of a roofing material to release heat rather than to absorb it. It can also be measured on a scale of 0 to 1 scale (with 1 being a highest). The higher the thermal emittance level is, the more energy efficient it becomes. The effect of a roofing with high thermal emittance is best observed during hotter months. When it’s summer, there’s intense heat from the sun. And with an energy efficient roofing, you don’t have to worry about absorbing too much heat because it can release the warm temperature away from the building. We understand that a big chunk of your company’s expenses goes to utility bills. Good news! 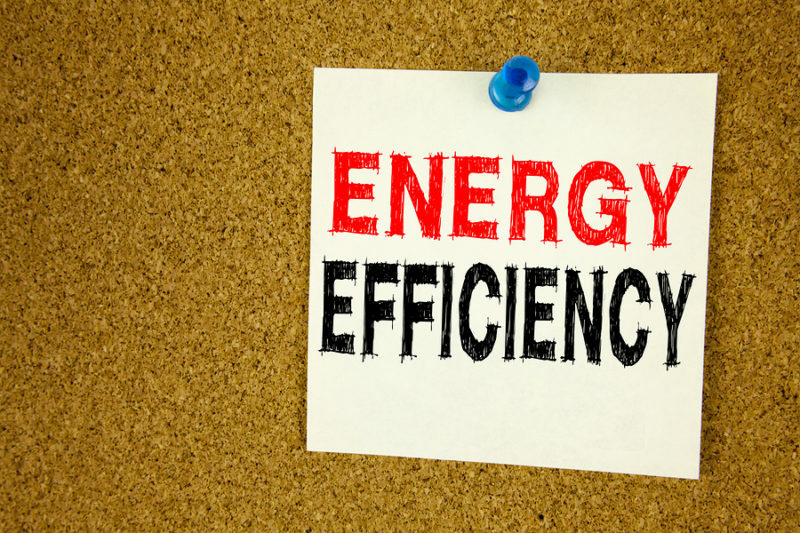 An energy efficient roofing can help you save more money as it can help cut down on electricity consumption. If your roofing doesn’t trap and transmit heat into the interior, then your employees wouldn’t have to endure a warm temperature. In return, they wouldn’t have to use the conditioning units more often. In other words, your building stays cool even during hotter seasons. Studies show that you can save around 7% to 15% of your normal energy consumption which is a big help to you and to the environment (for it reduces air pollution and greenhouse gas emission). Reducing the use of cooling appliances will help cut down on electricity bills and also lessen its carbon emission. In a building where heat is property regulated, people are more comfortable. They become more productive and less irritated. Too much heat and UV exposure can speed up the deterioration of your roofing. The more it traps energy coming from the sun, the more it suffers from degradation. Either it breaks apart, cracks, or simply become ineffective prompting premature repairs or replacements. On the other hand, if a roofing has excellent energy efficient qualities, it can shield the property from harmful UV rays. 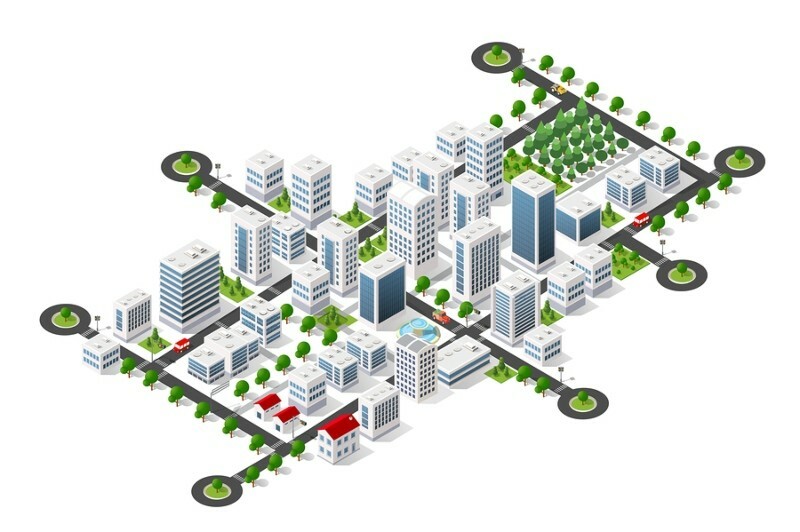 Urban areas are usually congested with all the tall buildings, cars, and human population. In these kinds of places, it’s expected to become warmer. This is opposite to what people from the rural areas experience. They have open fields, trees, and lots of vegetation. Hence, they have cooler air. This is also why there’s a concept known as “urban heat island effect”. 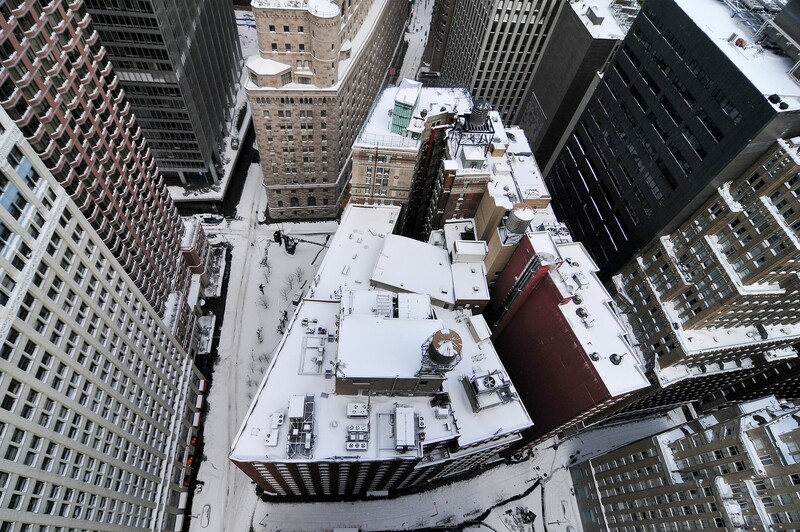 In urban cities where buildings don’t have heat absorbent roofs, the temperature can increase for up to 8 degrees Fahrenheit higher than of suburban or rural areas. As a result, the demand for cooling appliances will also increase. 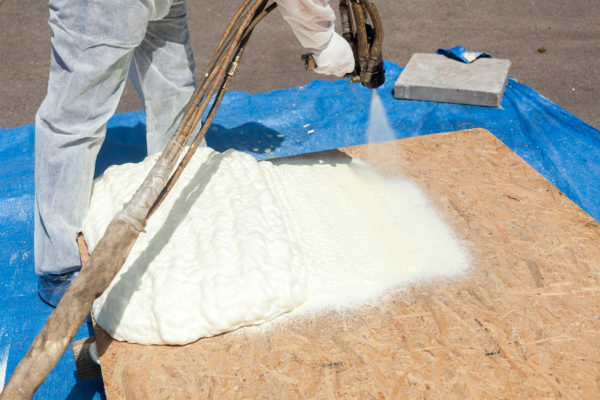 Here’s a photo of a worker spraying polyurethane foam on the roof to make it water-resistant and more energy efficient. SPF is applicable to several types of commercial flat roofing systems such as EPDM, metal, wood, built-up roof, and modified bitumen. It is spray-applied as a liquid material which will then expand to create a foam. An SPF is a closed cell plastic roofing material that can effectively waterproof the surface. It is also known to have high levels of R-value. When applied correctly, SPF costing can help prevent unwanted roof leaks and can also lower energy costs for up to 30%. It can last up to 30 years. However, re-coating is advised every 15 to 20 years. 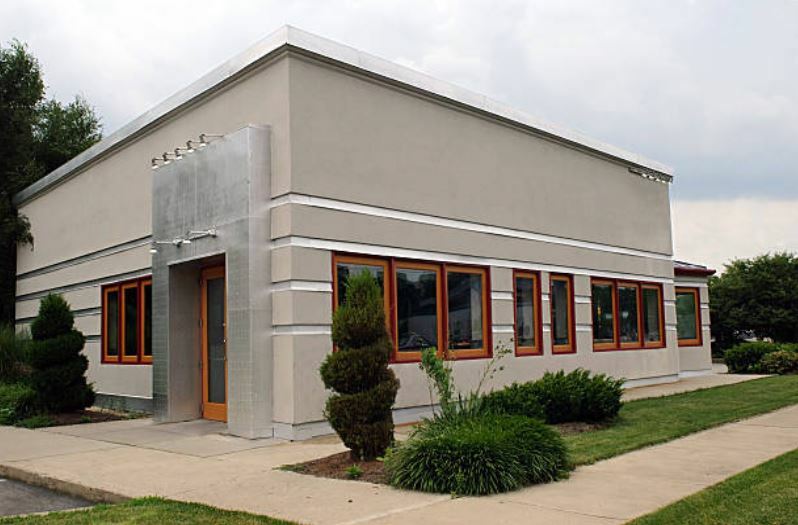 Because of SPF’s great energy efficiency and performance, its use is not limited to flat roofing surfaces. It is also applied as an insulation in walls, ceilings, attics, etc. Some people use it in cold storage facilities, freezers, walk-in coolers, and more. Elastomeric Roof Coatings – It is an elastic material that is applied in liquid form. When it dries up, it will turn into a bright, clean, and modern coating. The main benefit of an elastomeric coating is that it can instantly prolong the life of your commercial roofing. It’s also important to note that it does expand and contract when exposed to intense heat. Rather cracking or breaking apart, it stretches and adapts in extreme temperature. It will also return to its original size after. EPDM Coatings – For a complete waterproofing solution, you can also opt to apply rubber or EPDM coatings. It seals the entire roofing surface and helps contribute to energy efficiency by cooling it down. Data shows that it helps cut down on utility costs for up to 20%. Asphalt Roof Coatings – If there’s a chance to save your asphalt roofing, would you take it? The answer is in the form of asphalt roof coatings. A roll asphalt can last for up to 10 years only but with energy efficient coating solutions, you can add up to 20 years to its lifespan. As we have discussed in this blog entry, there are flat roof covering options that are energy efficient. 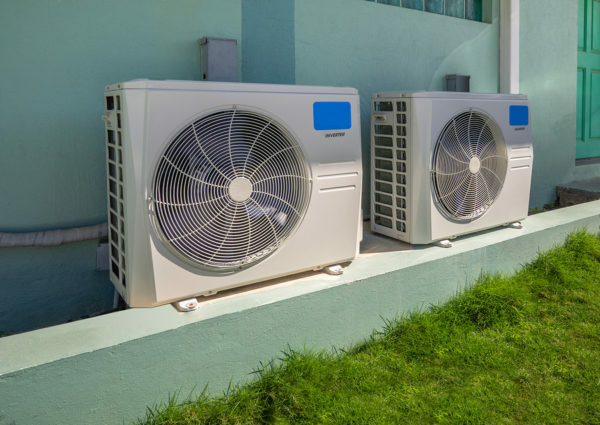 If you consider installing one, you will reap many benefits in the long run such as savings from electricity costs. You can also help contribute to minimizing the carbon footprint. In a time where pollution has taken over, you can do something in your own way that could be advantageous to your business and to the environment. The choice is yours. If you’ve decided to install energy efficient flat roof covering options or if you have other questions in mind related to flat roofs construction, feel free to contact the J&M Roofing team. We can help you find what is the best material for a flat roof. Our company is backed up by a solid industry experience that guarantees excellence and professionalism. Reach us at 877-480-8860 for a free consultation.